An infected tooth can lead to serious pain and discomfort. You can avoid tooth loss and other health threats with a root canal procedure. It's common to associate pain with a root canal. There are sedation methods and technologies available to help assure that your procedure is comfortable. Make it your priority to know the root canal symptoms. It's also vital that you understand the dangers of not treating your tooth infection. Your root canal pain can be traced to tooth decay or oral disease. You will often notice a prolonged hot or cold sensitivity when eating or drinking. On occasion your infected tooth can have a large cavity. You might also notice that your tooth is discolored. A gum infection can accompany your root canal pain as well. Your gums will appear red and swollen around the tooth. A root canal targets your tooth infection. The treatment enables your tooth to heal and prevents the infection from worsening. We remove the infected core (pulp) within your tooth. 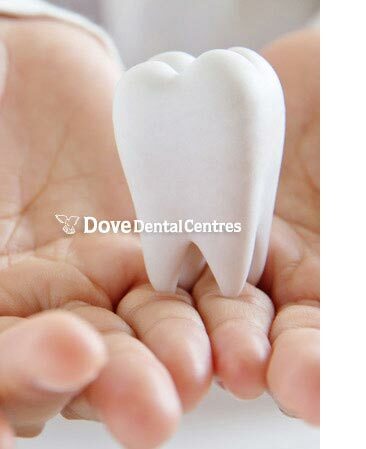 Then we clean and reshape it to strengthen your tooth structure. A root canal procedure is similar to having a tooth filled. The process is a bit more extensive but the end result produces a healthy, infection-free, and stronger tooth. The substance (gutta-percha) used to fill your root canal provides healing. The surface area of your tooth is then covered with a temporary crown. The healing period is also an essential part of your root canal procedure. Once your treated tooth has healed a permanent crown will replace the temporary. Your post-op care is an essential part of your healing process following the procedure. Protecting your tooth and the surrounding area will help you experience less pain after treatment. Avoid pressure or chewing on the temporary crown immediately following your root canal. Also avoid sticky or hard foods to prevent damage to your crown. Brush and floss your teeth routinely. Gently do so around the area of your root canal for a few days following your procedure. Use a recommended over-the-counter pain medication for any persistent pain or discomfort. Follow your instructions for the antibiotics that are prescribed post-treatment. You can also relieve any pain and help reduce post-op swelling with a warm salt-water rinse. Monitor your discomfort and any issues associated with your temporary crown and please connect with our dental office if necessary.